It seems I’m on a grey/ khaki/ black kick right now. I keep pulling those colours out of my wardrobe time and again (who knew I owned enough khaki for that?). Seems like the lure of bright colours isn’t hitting anytime soon, surprise, surprise. I’ve also been rediscovering my fair collection of polonecks – they’re having a bit of a moment right now and it is always satisfying when you already own what you need for a trend. Whether that puts me ahead of the curve or so far behind I didn’t move on last time, I’m not sure, but I’m feeling pretty pleased that they’re making a comeback regardless. Having a snuggly, cosy neck makes me a very happy bunny. Grandma Laura strikes again! They do seem to be a bit of a marmite trend though. 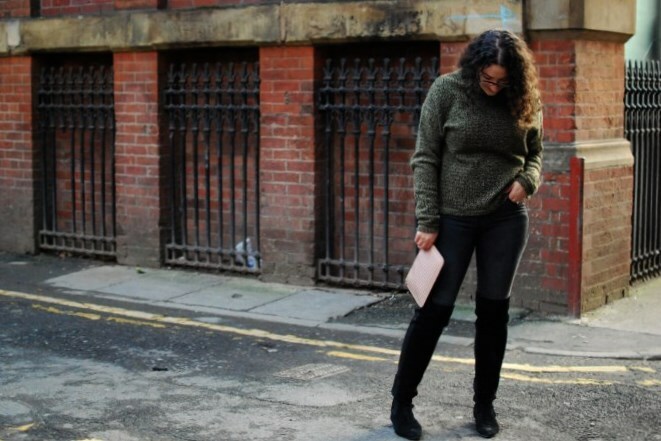 Are you a fan or still avoiding polo knits like the plague? 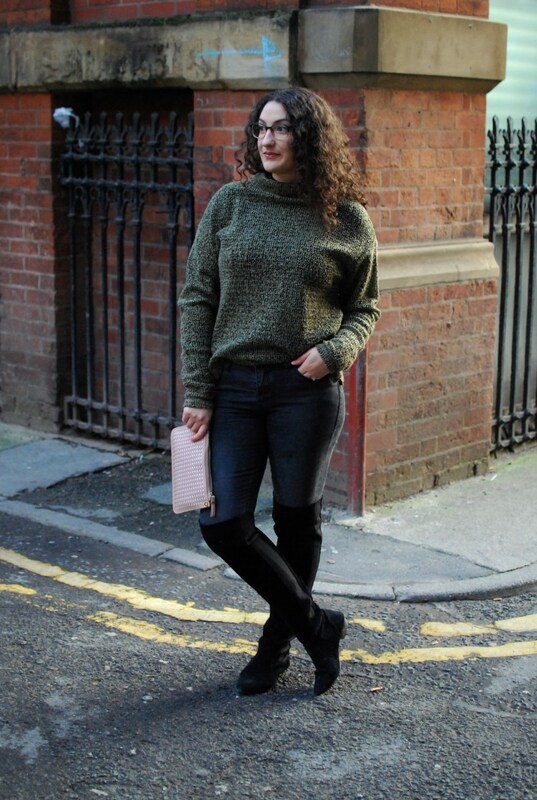 Wearing- OTK Boots: Topshop via Ebay; Knit: Old Topshop; Jeans: Ebay; Clutch: Old Kurt Geiger.